Riviera Nayarit Mexico Blog: The Riviera Nayarit’s Longest Zip-Line Is Over Half A Mile Long! 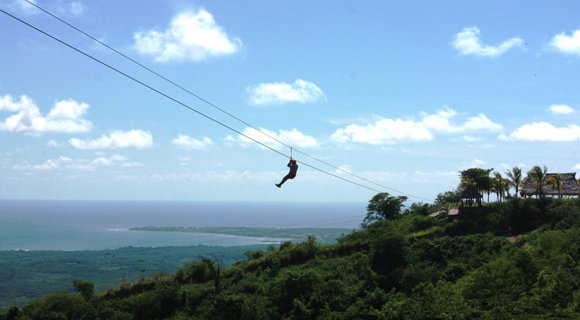 The Riviera Nayarit’s Longest Zip-Line Is Over Half A Mile Long! It’s located in Rancho la Montalbeña between Sayulita and Punta de Mita and is part of a tour offered by Vista Paraíso, which combines 10 different zip-lines of varying lengths. The Riviera Nayarit offers its visitors not only plenty of beaches but also the chance to go on a mountain adventure. It’s precisely there, in the mountains across from the town of Higuera Blanca, where they’ll find the longest zip-line in the destination, measuring one kilometer—over half a mile—in length. 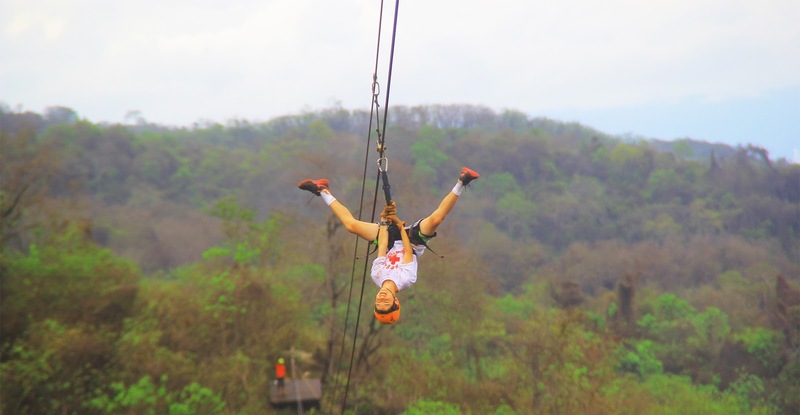 This adrenaline-fueled adventure is offered by Vista Paraíso within its Canopy Tour, which is made up of 10 lines: besides the 1k (.63 mile) line, there are others measuring 900m, 800m and 700m, plus other long zips. The lines cross over hilltops and the participants are practically flying at altitudes between 120 and 150 meters (nearly 400 to 500 ft.) over sea level. They can reach speeds of up to 60 km/h (37 mph). “Our relationship with the Riviera Nayarit CVB is great, we’re constantly working together to bring more visitors to the Destination. We’ve had plenty of celebrities visit us, including Tom Cruise, Chuck Norris, the Kardashian sisters and ex President Vicente Fox, among others,” he added. The tour costs US$85 for tourists, but there’s a special price of $400 pesos for Nayarit and Puerto Vallarta locals. Vista Paraíso offers other adventures including horseback riding and ATV or RZR tours, all with transportation included. They also have a restaurant. For a closer look at their services visit: http://vistaparaiso.mx/.